Designed for the International Exposition of Modern Industrial and Decorative Arts, in Paris. Composed of brass-plated nickel and stamped “Exposition Paris 1925”. Glass jar bottle with cap decorated with coral sculpture. The glossy black vase divided into layers, the cap is decorated with red corals. Large transfer-decorated metal tray with his famous face design by Piero Fornasetti. Fornasetti’s bookends are handcrafted of white and black aluminum and finished with a velour base. Featuring a lithographic house design. 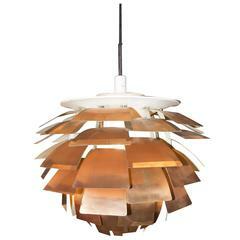 Beautiful artichoke chandelier by Poul Henningsen, Poulsen production. 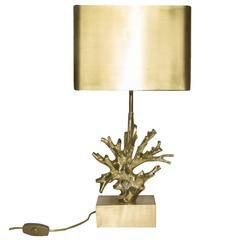 Beautiful Maison Charles Paris gilded bronze lamp with coral shaped base. 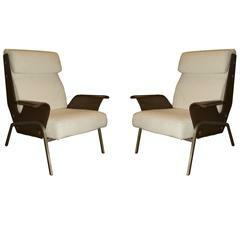 Rare Alba lounge chairs by Gustavo Pulitzer. Artflex. White fabric and original brown leather. Fantastic Ami Continental restored in the 2015. 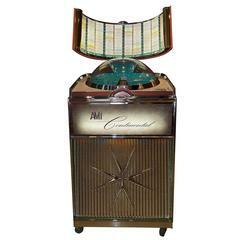 Fully functional contains 100 vinyl’s with Italians and American 1960s to 1980s songs.